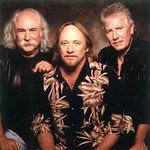 Crosby, Stills and Nash (CSN) have announced four U.S. concerts scheduled for April 2012, which includes a special charity initiative. The dates kick off on April 17 at the Table Mountain Casino in Friant, CA, followed by Agua Caliente Casino in Rancho Mirage, CA on April 18. CSN performs at The Joint at Hard Rock Hotel & Casino in Las Vegas, NV on April 20, and then back to California for an intimate concert at the Performing Arts Center of San Luis Obispo on April 22. On-sale dates begin February 17. The west coast U.S. shows follow CSN’s March/April tour of Australia and New Zealand, and precede a tour of South America—a May 10 date at Via Funchal in Sao Paulo, Brazil has just been announced (on-sale Feb. 14). For special benefit seating at the U.S. shows, visit www.guacfund.org. In addition, CSN will donate $1 from every ticket sold to various charities, including donor-related causes, environment, human rights, and music education. 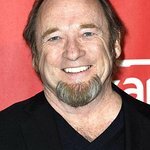 CSN have plans for an extensive US tour this summer. Special VIP packages will be available through their website, www.crosbystillsnash.com. Most recently, CSN performed a handful of U.S. dates in 2011, including the all-star MUSE (Musicians United for Safe Energy) concert at Shoreline Amphitheatre to benefit Japan disaster relief and groups promoting non-nuclear energy worldwide, and three shows at NYC’s Beacon Theater. More than four decades since CSN first harmonized in Laurel Canyon, and played their first-ever concert as a trio at the legendary Woodstock festival, its members continue a creative partnership that is one of the most influential and enduring in music. David Crosby, Stephen Stills, and Graham Nash have each been inducted into the Rock and Roll Hall of Fame twice—once with Crosby, Stills & Nash, and a second time with The Byrds, Buffalo Springfield, and The Hollies, respectively. They have also been inducted into the Songwriter’s Hall of Fame, with the honor recognizing both CSN as a group, and each member as individual solo artists.